The Summer 2018 issue of our Shout! Magazine has been published. 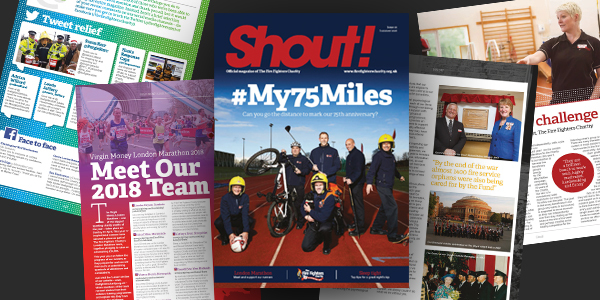 In celebration of our 75th anniversary the latest issue of Shout! 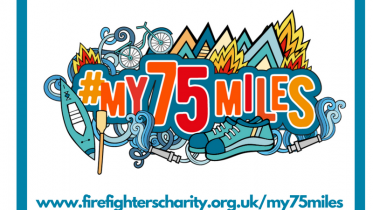 focuses on our year long fundraising challenge #My75Miles, explaining exactly how you, your colleagues, family and friends can all get involved and walk, run, swim, paddle, cycle or propel your way to 75 miles this year. The packed issue also features incredible stories from people we’ve supported, as well as those who support us, including the runners who will be tackling this year’s Virgin Money London Marathon for us later in the month. Elsewhere, you can find out about the history of the Charity and even discover the secret to a good night’s kip. Check out the new items added to our shop. See the stories of the people we've helped.